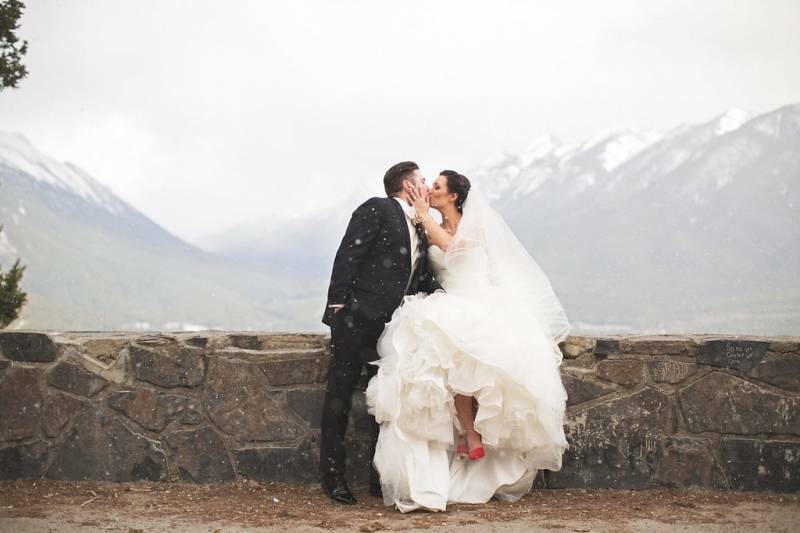 Snow or shine, this darling duo was going to celebrate. 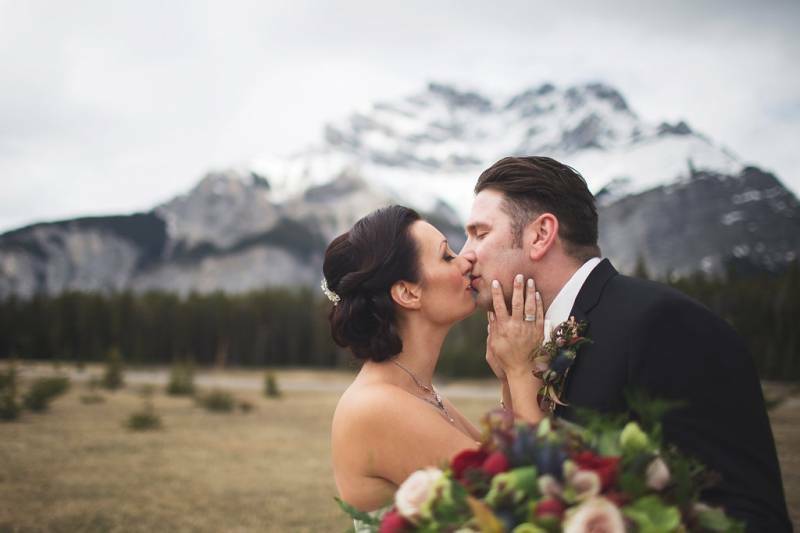 And when the overcast skies mixed with flurries moved in on their incredibly romantic Banff wedding, that, my friends, is exactly what they did. 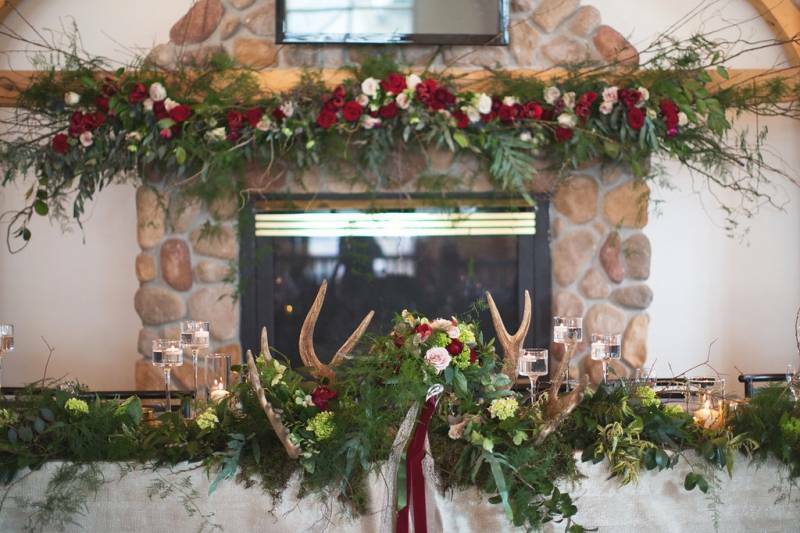 Think rich and beautiful organic details meets an emotional ceremony, meets the beauty and mystery of the forest recreated indoors. 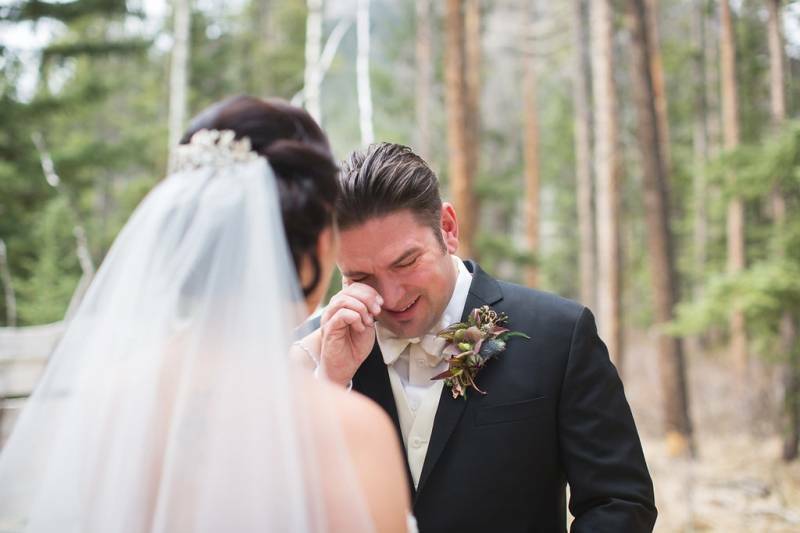 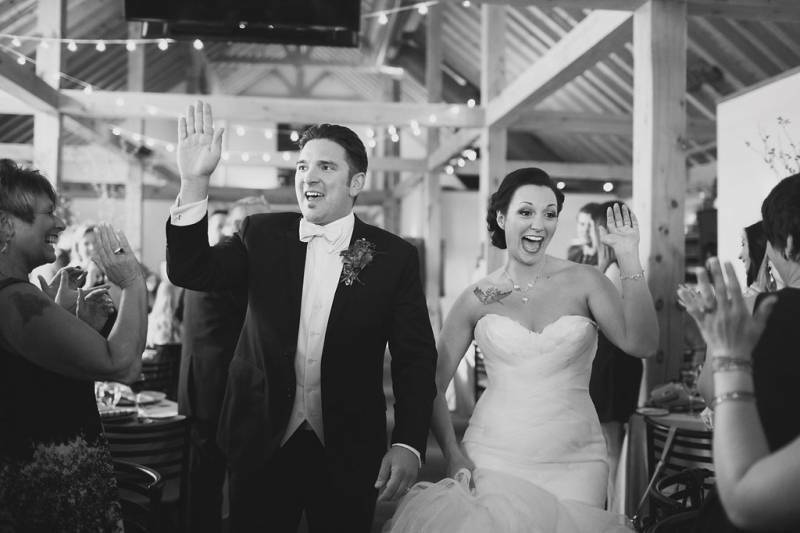 This is one beautiful and touching wedding that you won't want to miss! 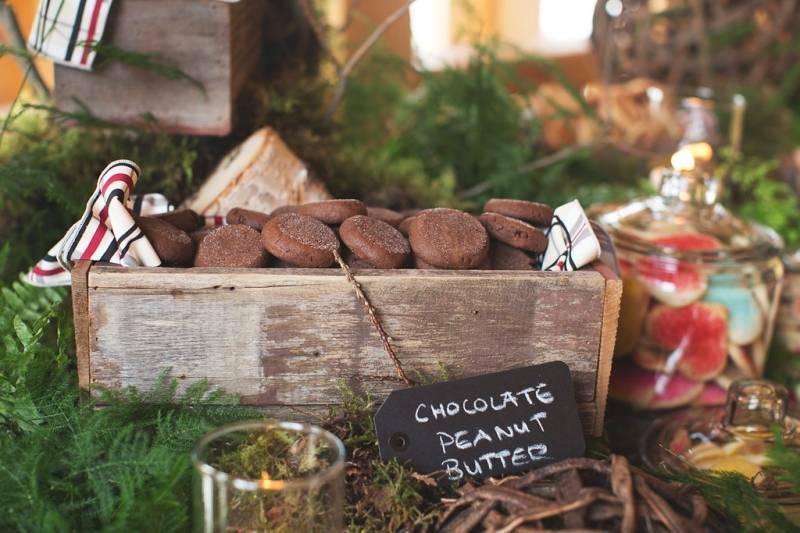 The beauty of it all was captured by Jessica Fern Facette Photography and created by event planner Elyse Colman of Special Event Rentals. 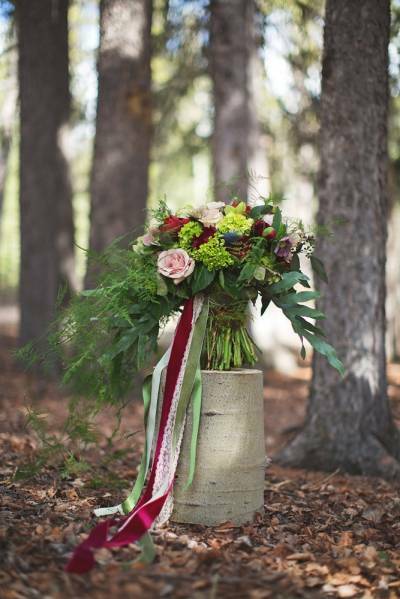 Inspired by the mystery and beauty of the forest, all of the flowers were created with incredible texture, greenery and deep colours by florist Cory Christopher. 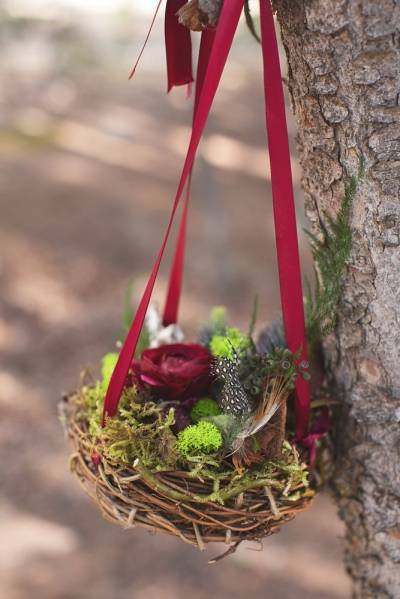 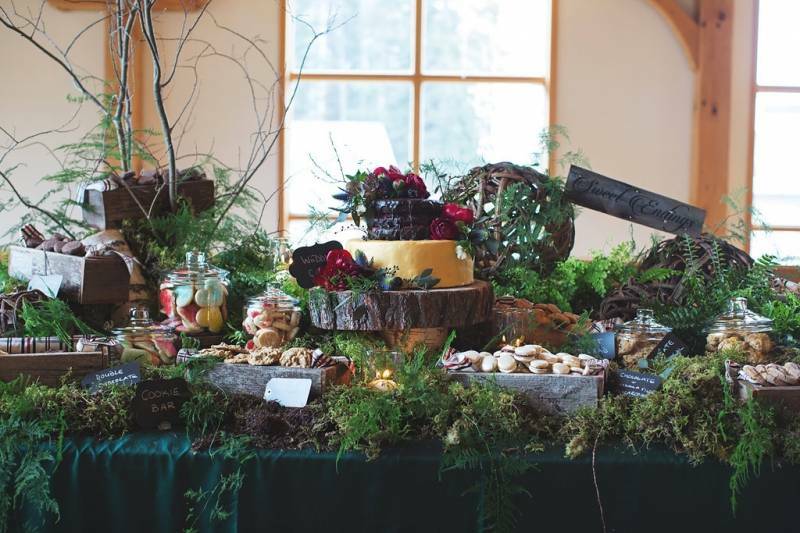 He used incredible ferns and moss to add dimension to the flowers and recreate the feeling of the forest. 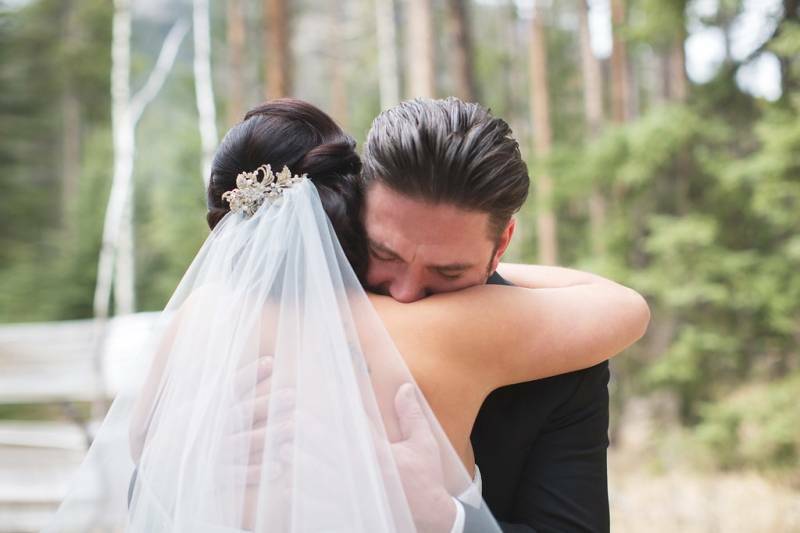 The results were simply breathtaking! 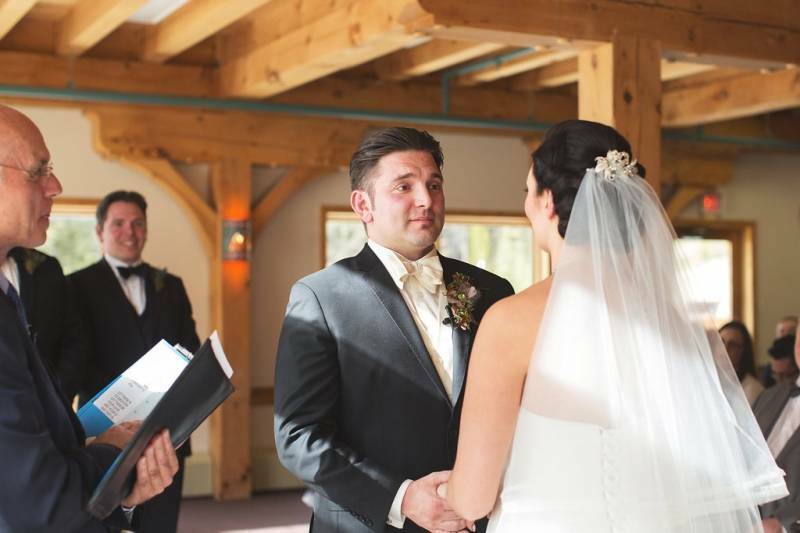 The Banff wedding ceremony was held indoors at Mt. 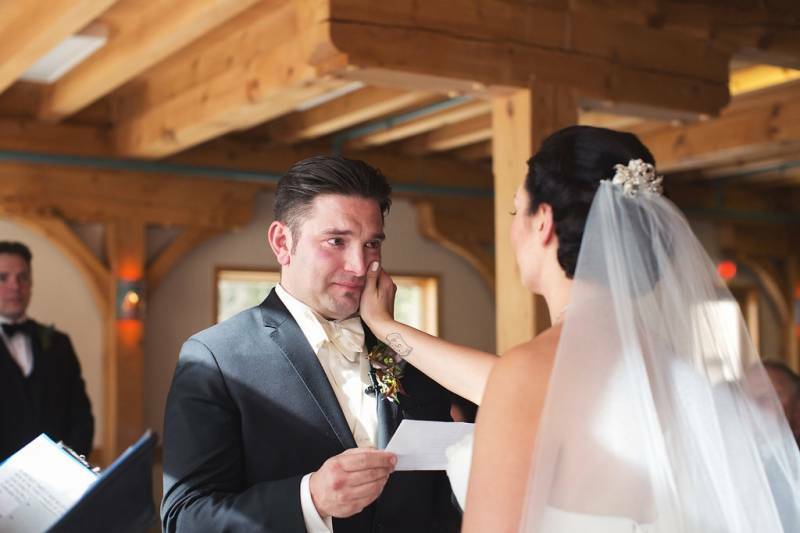 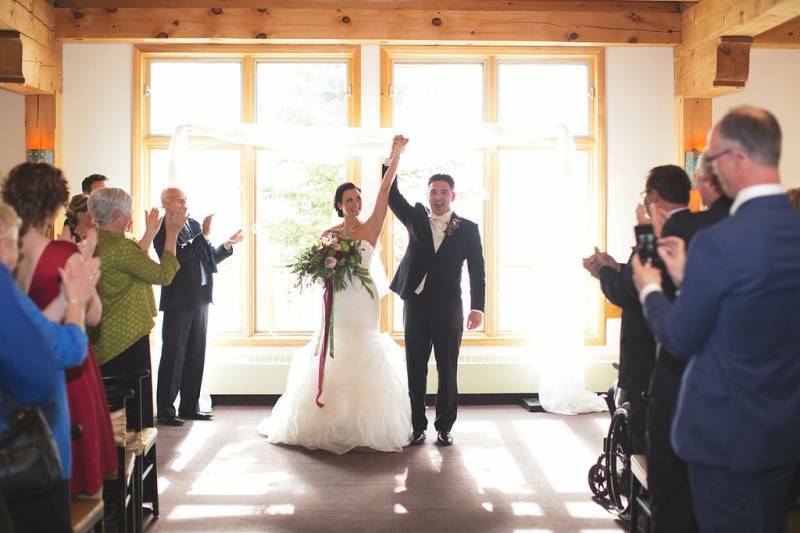 Norquay where the two dedicated their lives to each other in emotional and touching vows. 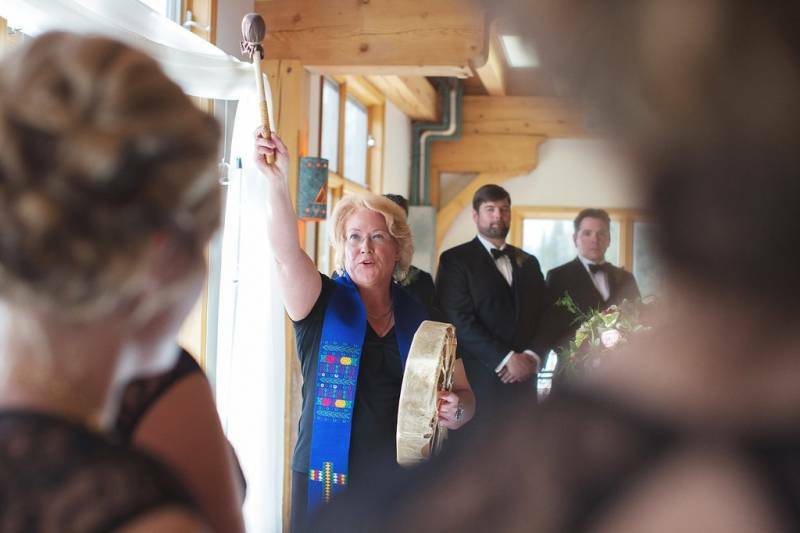 A special marriage blessing was performed by Kim Beckett and the ceremony was commissioned by Robin White. 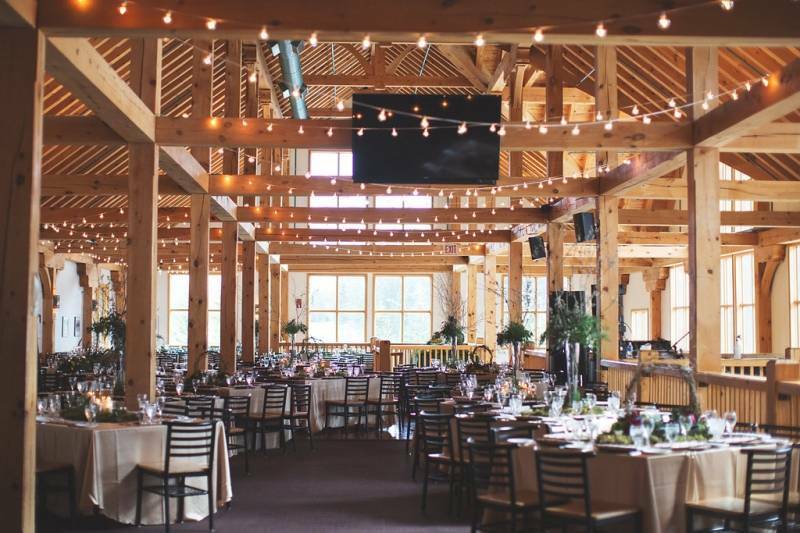 With the help of Special Event Rentals, the beautiful lodge at Mt. 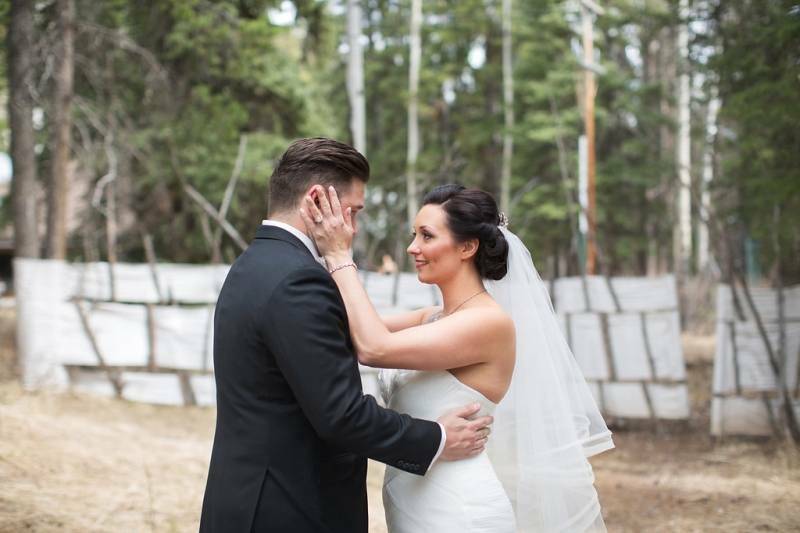 Norquay was transformed into a romantic and mysterious forest. 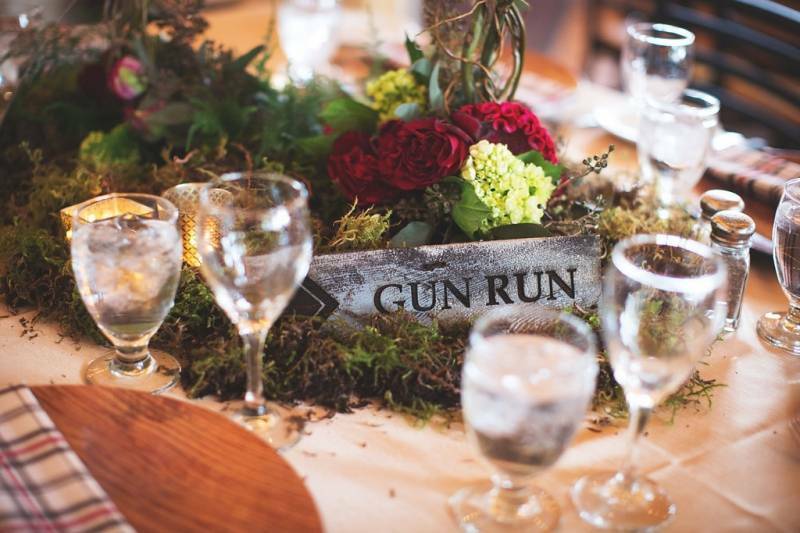 Moss, greenery and rich roses covered the tables and created stunning decor. 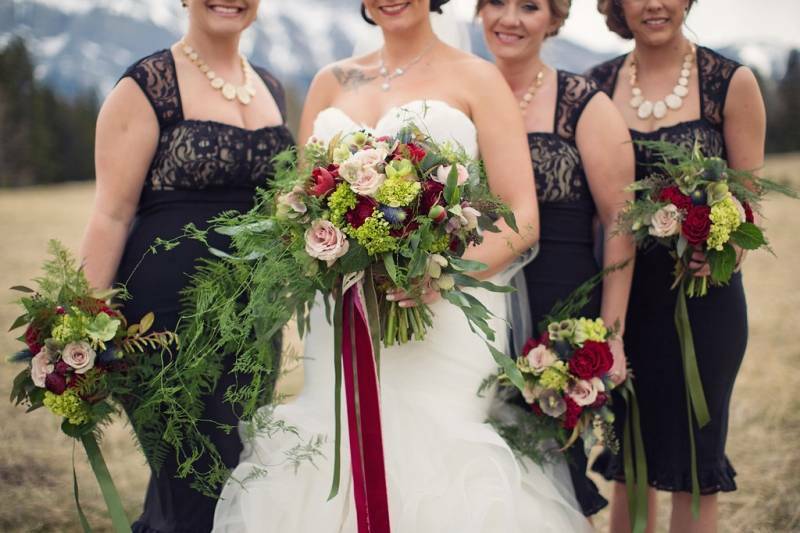 All of it matched the raw, untamed beauty of the mountains and forest outside perfectly. 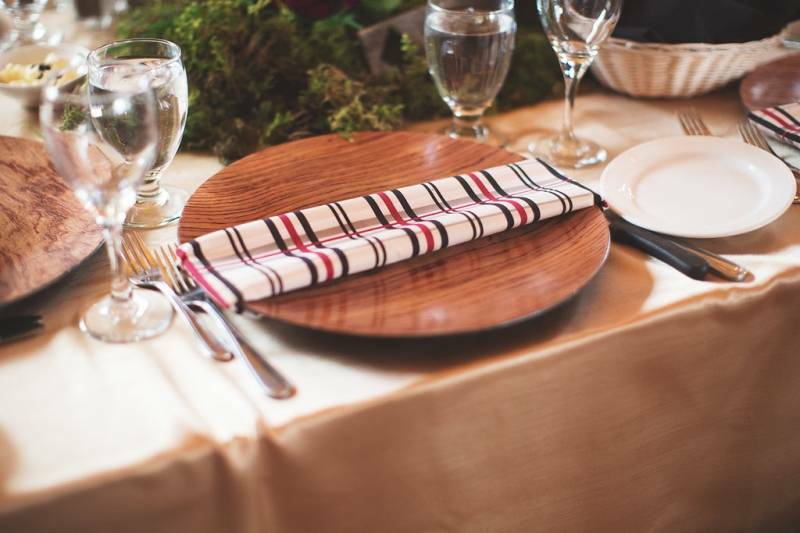 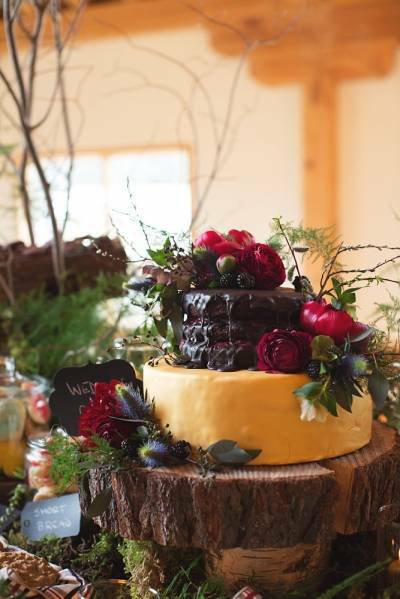 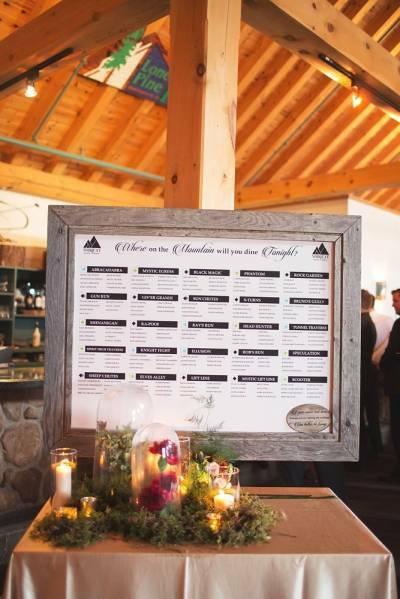 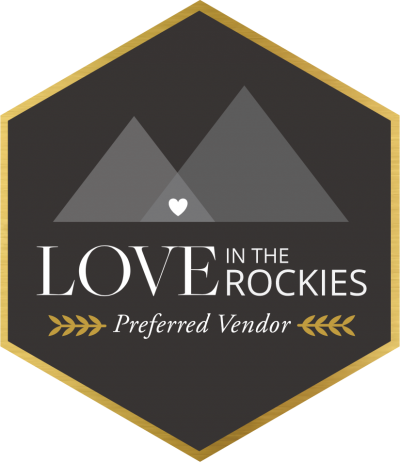 If you're planning a Banff wedding, be sure to check-out all of the inspiration, vendors, articles and ideas on our site. 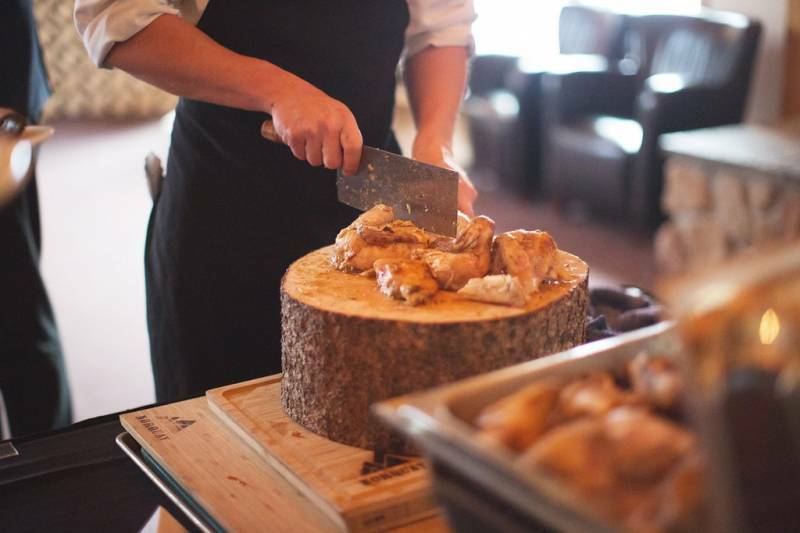 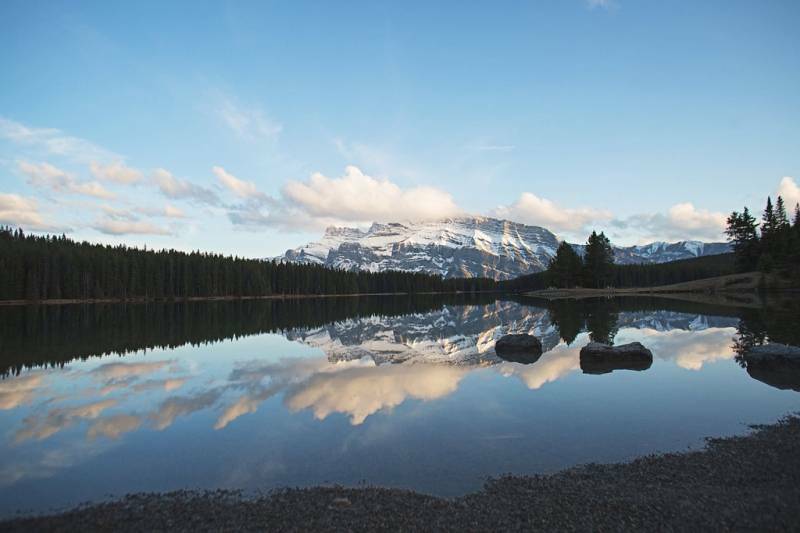 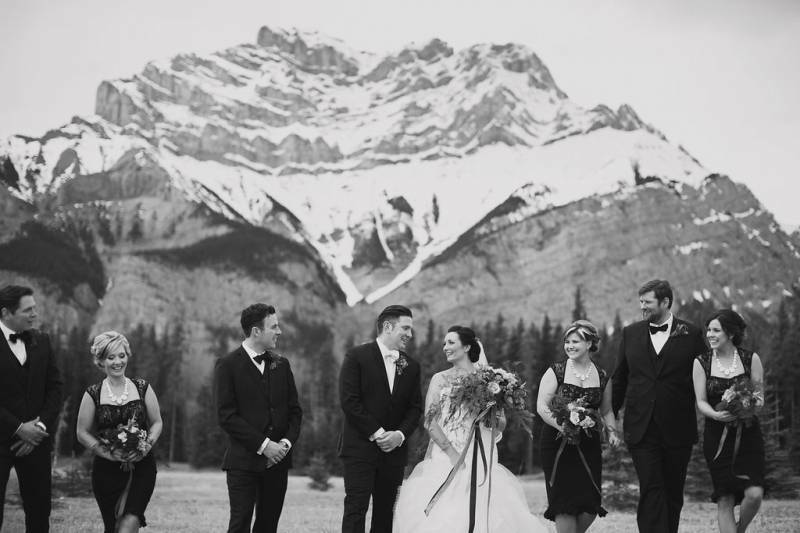 We love the beauty that Banff brings to weddings and know you'll find something perfect for your dream mountain wedding.